A FORMER submariner is working hard in a bid to create a night to support a naval charity. 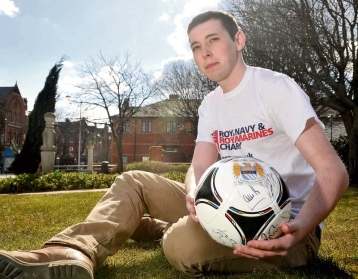 Craig Palmer, 24, is organising a fundraising night in aid of the Royal Navy and Royal Marines Charity. Mr Palmer, who served onboard HMS Vigilant, said he was inspired to organise the event after his experiences serving in the forces and after seeing the support the charity provided to the family of Ian Molyneux, who died after being shot onboard HMS Astute in 2011. Mr Palmer has already secured an array of donations set to be auctioned off at the charity night due to be held at the Nines, in Barrow, on June 20, including a signed Manchester City football, a signed Barrow AFC shirt and a bottle of House of Commons whisky. 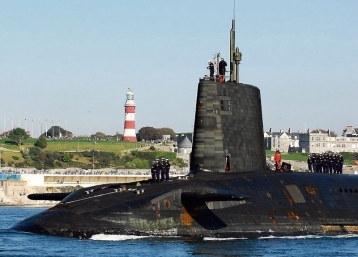 He said: “I had friends who were onboard HMS Ambush and were injured in the shootings in 2011. “This is my way of giving a bit back to the forces. I’ve seen firsthand how this charity can help people. Mr Palmer is also hoping to put a new Mini Cooper up for grabs via a reverse auction which is due to launch at the fundraiser evening and end on December 20 with the winner named in time for some festive fun behind the wheel. Along with the charity auction and launch of the reverse auction Mr Palmer said there will be performances from Take That tribute act Rule The World and local bands Paper Cranes and Jumbo Jamz. Mr Palmer also said he is set to give away 50 tickets to current forces personnel. This entry was posted in UK Submarines and tagged Charity, Craig Palmer, HMS Astute, HMS Vigilant, Ian Molyneux on April 9, 2013 by jasonlockley. Just for your information…. Craig Palmer is not who he seems.